After leaving the cinema, I can’t help not to ask myself if I really watched a movie about King Arthur. 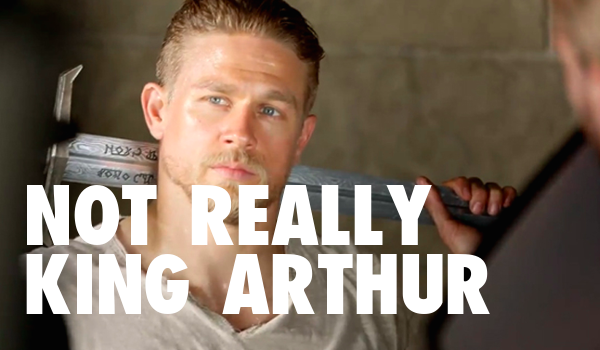 The movie title did carry the name of the legendary king, but it was not the King Arthur I was anticipating to watch. I know my Mordred, Excalibur, Merlin, Lady of the Lake, Avalon and Morgan Le Fey. But the movie settled on cloning Lion King’s plot - an uncle wanting to be a king and the heir dead. It wasted the opportunity to play with the sandbox of the Arthurian legends, and the chance to show younger viewers how epic the stories are involving the future knights of the roundtable. The movie was more style than substance. King Arthur: The Legend of the Sword felt like a montage - though filled with jump cuts was ironically painfully long to watch. It reminded me of Pan, Warner Bros.’s dismal attempt to launch a new franchise.